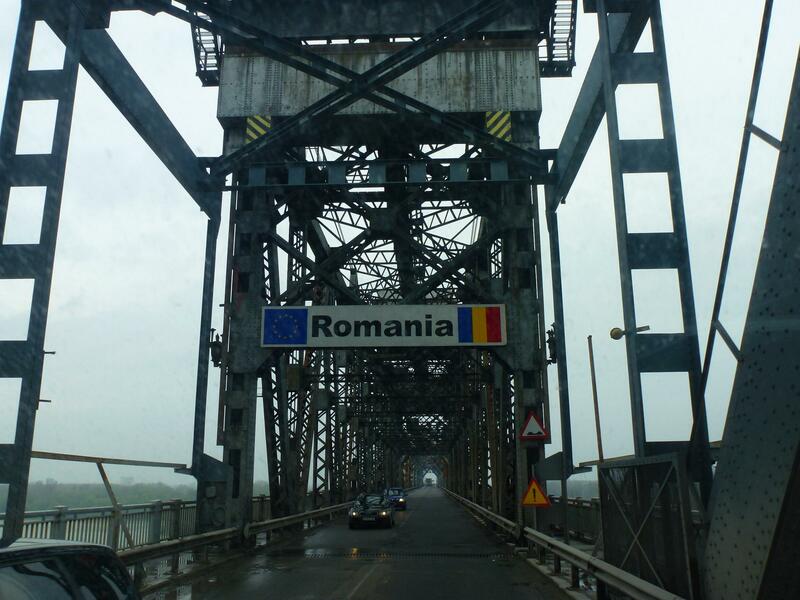 Yet again we struggled to find a whole country, we had a simple plan – follow the signs to Ruse and the Danube bridge crossing into Romania. Mega plan except after the first sign it wasn’t mentioned again. 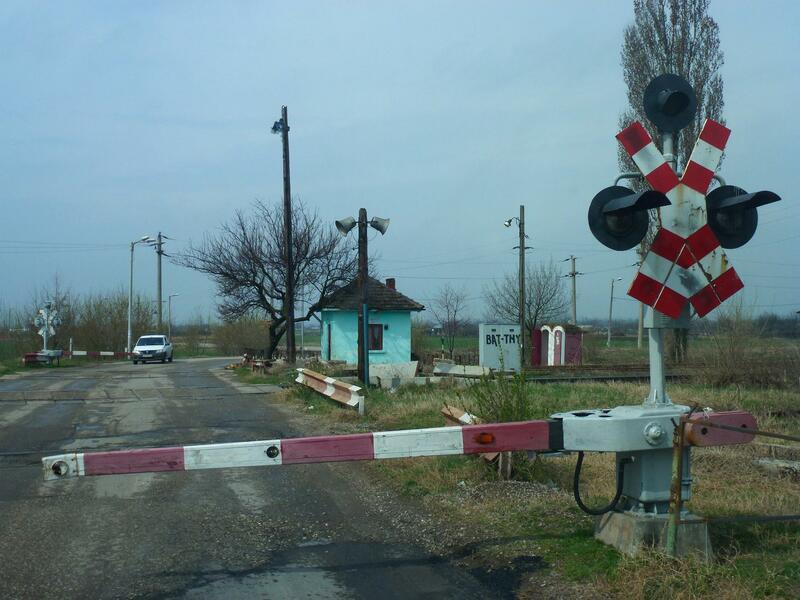 Next choice was follow signs for Pyce as there is a crossing there – hey presto Pyce and Ruse are the same place, something the Bulgarians were obviously keen to keep quiet! Whilst we were looking for the border we used the time to practice our six essential phrases we learn for each country – please, thank you, hello, goodbye, where is the toilet, two coffees please – we are reasonably proud that we can do this in five languages to date. The toll to cross the Danube Bridge was only €2- (aka as the Friendship Bridge, honest to God if that’s friendship would hate to see the state of their enemies bridge) the trucks veer across the roads to miss the craters and the whole structure looks like it is about to lose its fight against gravity, maybe the ferry is a better option. Anyway, for us our first ever sight of the Danube, very big, very grey and a bit murky as it was raining but none the less impressive. The option of not knowing which country we were in (Greek / Bulgarian border scenario) didn’t manifest itself as the border is smack in the middle of the bridge. Oddly the bridge changes in structure there too, the Bulgarian side has no overhead steel truss work, as soon as you pass under the border sign the overhead trusses are very dense. We were fairly keen on missing Bucharest ring road, as usual we weren’t planning on visiting the capital so saw no reason to put ourselves through the pain of negotiating what we had heard was a bit of a nightmare. With the aid of a map (amazing things) we plotted a good route to the West of the city through the countryside. Our first impressions of Romania? 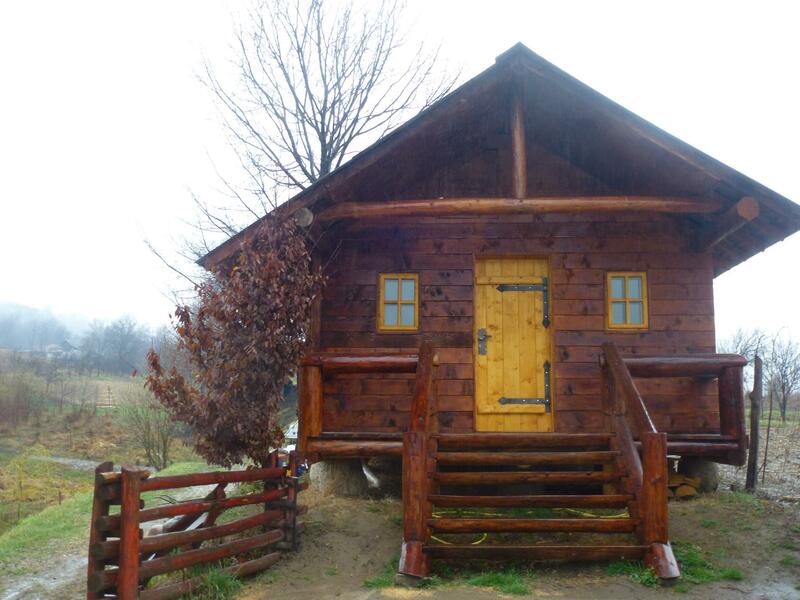 it’s doesn’t appear as poor as Bulgaria – based on the standard of housing and the amount of flash cars. Every village we went through had new houses being built and the older homes were well renovated, we were both very taken with the tin roofs which come is many colours and were often actually styled as tiles. The people were generally dressed in a very old fashion manner, the best way to describe it was peasant style. Whereas Bulgaria was very much the uniform of the tracksuit, big jewellery and black leather jacket – here its more knitted layers, head scarves and dressing gowns with a rope belt. We fully expected to say Romania was the same as Bulgaria, it isn’t (except the roads which are still atrocious). We saw very few factories or any real industry all the way up. Here its mainly farmland, ploughed and ready for scattering. We are still on the lowland plateau which resemble the Fens, very fertile, very flat and views over the fields for miles. Plenty of horses and carts around but seem to be used more for farming than daily transport. In the village we are currently in every house has a small barn in the garden and also a giant haystack, seeing haystacks makes it feel like stepping back a few centuries for some reason.Probably every third car here is a Dacia, whilst this was originally a Romania company its long since been swallowed up by Renault but they continue to churn out nearly half a million cars a year from a factory just up the road. We hadn’t been able to find a campsite listed as open before April so we took a chance and headed for Curtea Des Arges. We had details of a small site on the edge of a MTB course, pulled in just as the young lady who owns it was leaving for the weekend. Even though not open she was happy for us to stay, hooked us up and gave us the run of the place – for less than the cost of two coffees in Switzerland! With heavy rain forecast for Saturday we agreed to stay an extra day, and enjoy the rain from the warmth of the van. The site has everything we need, including a hammock strung up under the eaves to keep Iain occupied. We attempted a walk into the main town yesterday, it was about 4 miles and raining hard but we thought it would be a good way to see more of the surroundings. Less than 10 minutes into the walk a very shoddy car pulled over and we were gestured to get in. We did, why who knows. Very kind Roma gentleman took us into town, his 3 year old daughter entertaining us with her ability to count in English! We offered a few RON for the lift but he firmly refused. After a wander around town we started the walk back, half way another kindly gent stops and motions us to get in – and then dropped us off less than 5 minutes back to the campsite. Not such a great walk but a great introduction to the kindness of Romanians and another lesson for us not to believe everything we read about people. 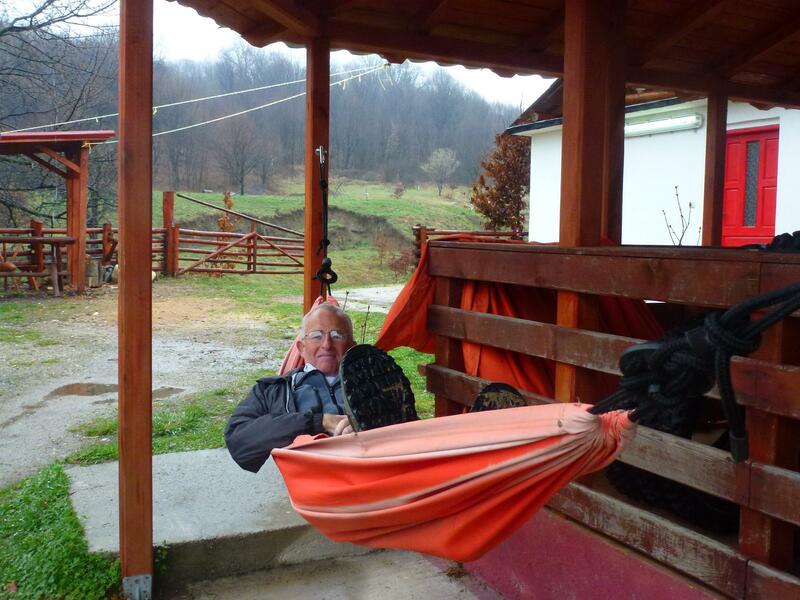 Today we are off to Bran to meet with our new friend Constantin, who owns a campsite up there which isn’t yet open. When I emailed to check on dates he offered to let us use the site anyway – which means we can now visit Dracula’s castle with somewhere to stay just outside, we have our garlic and wooden stakes at the ready. As of today we have now covered 6500 miles, which if we had driven in a straight line would put us on the outskirts of New Dehli, so thank the Lord between Sat Nav and I we have managed to get us here! Us having a break – it’s tiring all this travelling! !